Patients recovering from spinal injury or a stroke walk better if they train with intelligent robot support. This concludes a study by Dutch and Swiss researchers. A mobile harness suspended from the ceiling was now equipped with intelligent motion analysis for tailored walking rehabilitation in people suffering from spinal cord injury, stroke and other neurological disorders affecting gait. Clinical tests are already under way and a rehabilitation robot is under development. Scientists from NCCR Robotics at EPFL and at the Lausanne University Hospital (CHUV) developed an algorithm that adjusts how a mobile harness, suspended from the ceiling, assists patients suffering from spinal cord injury or stroke. The Dutch Technical University Delft co-developed the experimental robotic harness. In a clinical study with over 30 patients, the scientists showed that the patients wearing the smart walking assist immediately improved their locomotor abilities, enabling them to perform activities of daily living that would not be possible without the support. The results were published in the July 19th edition of Science Translational Medicine. In rehabilitation involving neurological disorders or injury, teaching the nervous system to adopt the correct movements is a major challenge. The loss of muscle mass that prevents people from walking correctly, as does the neurological wiring that needs to be trained to relearn proper posture and walking movements. As long as the patient repeats unnatural movements, the nervous system will keep on remembering the flawed motion. The idea of the smart walking assist is to promote natural walking in patients so that the nervous system learns how to walk normally again. Body-weight support systems are already used in rehabilitation. In this latest study, it is the first time such a support system operates in conjunction with an algorithm that tailors the assistance to each and every patient. The algorithm is based on careful monitoring of the patient as he or she moves, including parameters like leg movement, length of stride and muscle activity. 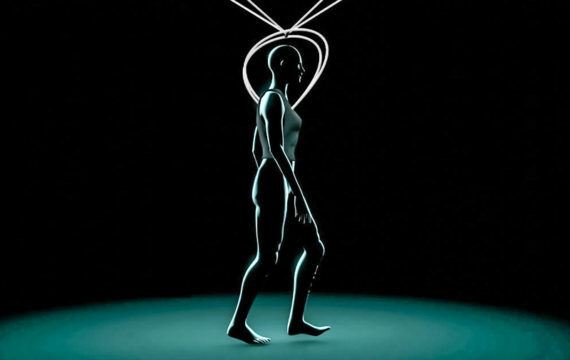 Based on these observations, the algorithm determines the forces to be applied to the trunk of the body, via the smart walking assist, in order to enable natural walking patterns. Concretely, this translates into either relieving the patient of his or her own weight, pushing the patient forwards or backwards, to one side or the other, or a combination of the above, for a more natural posture. “I expect that this platform will play a critical role in the rehabilitation of walking for people with neurological disorders,” says Grégoire Courtine, neuroscientist at EPFL and at the Lausanne University Hospital. The research results and clinical testing that followed triggered the development of the next-generation smart walking assist device, termed RYSEN, which is performed under the umbrella of EUROSTARS, a European Union subsidy project. The collaboration is European with partners in Switzerland and the Netherlands, including EPFL, Technical University of Delft, Motek, the EPFL spin-off G-Therapeutics and the clinical partner SUVA in Sion.